The City of Lyon is at the very forefront of light creation and its technological developments, and every year welcomes the world to its Festival of Lights. 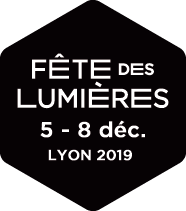 Acknowledged by the public and professionals alike as the reference event in this field, the Festival of Light teams of the City of Lyon, together with the LUCI association and the Lumières Cluster, have set up the Lyon Light Festival Forum. Within this structure, artists, foreign delegations and representatives of the greatest International Light Festivals come to soak up new artistic and technical trends in this immense open-air showroom. The Lyon Light Festival Forum provides particularly good opportunities for meeting the different light-creation professionals and facilitates exchanges around a packed programme: symposia, conferences, visits, meetings with the organising teams of the Festival of Lights and, among its key events, the platform of meetings between creators and organisers of foreign festivals.